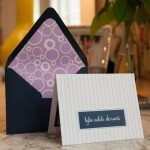 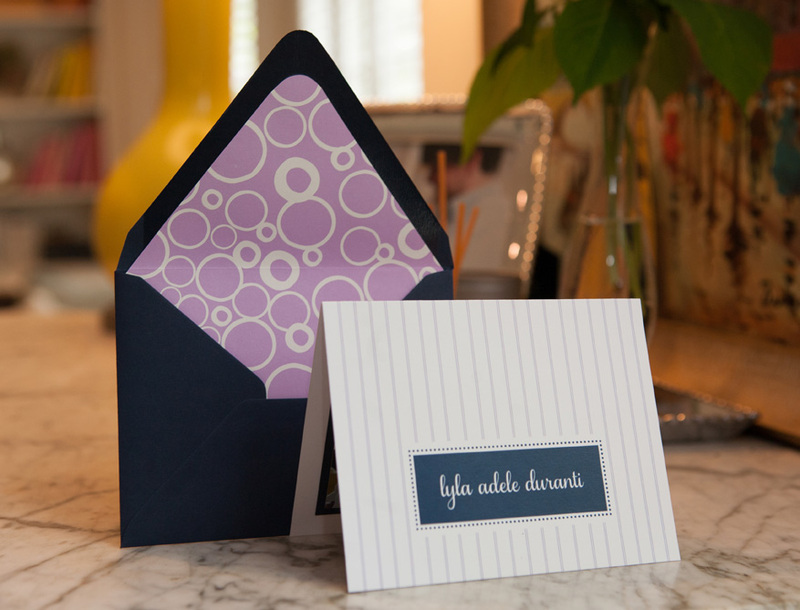 we love this unique design modeled after a feminine foldover notecard! 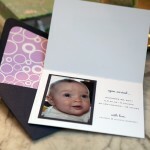 the baby’s name is showcased on the front, with a picture mounted on yardstick and statistics located inside. 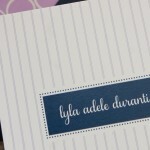 available in flat print (shown) or letterpress.